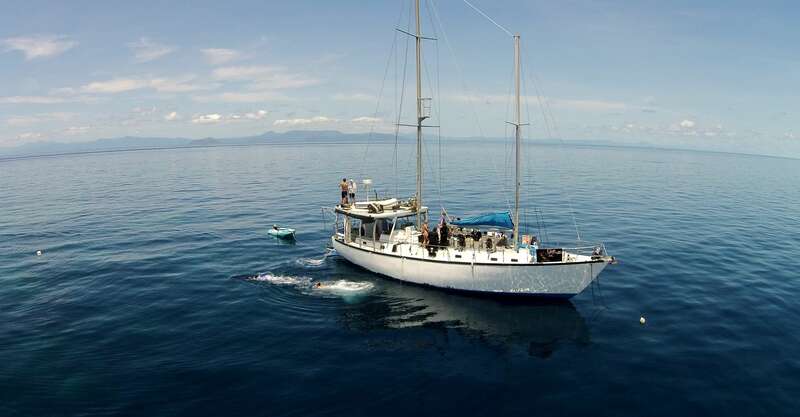 This trip is aboard S.V Rum Runner, a 66 foot Mono Hull Sailboat with a maximum of 16 divers plus crew. It is for 3 nights / 3 days, and allows 8 - 9 Holmes Reef dives, including 1 night dive plus 1 sunrise dive back at the fabulous Great Barrier Reef. Departure is from Marlin Marina, E finger, Cairns at 5:00 pm Friday*, return time 11:00 – 11.30 am Monday. Diving in this section of the Coral Sea is a great experience for both new and experienced adventurous divers. 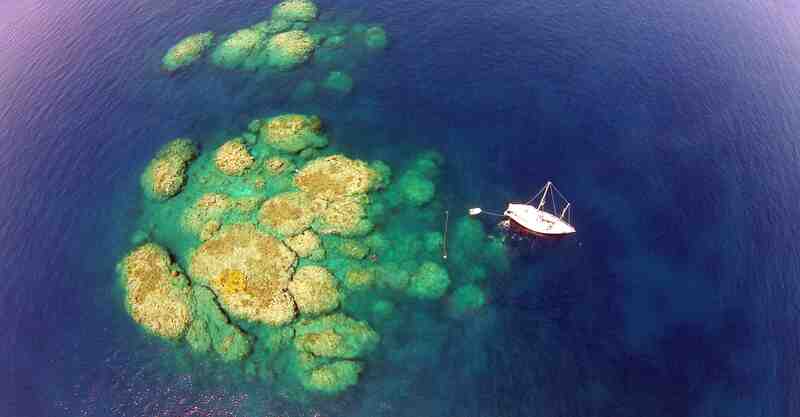 This trip visits Holmes Reef, a reef system lying some 90 miles outside the Great Barrier Reef. Due to its isolation the reef has incredible visibility (almost always over 30 meters, and if you don't have at least one dive at Holmes Reef of 30m plus or see any Sharks, Rum Runner still offer a 100% Money back guarantee! ), abundant sharks and large pelagic fish life. Divers have observed the reef sharks here at shark feeds for 25 years, and it is still a spectacular sight. 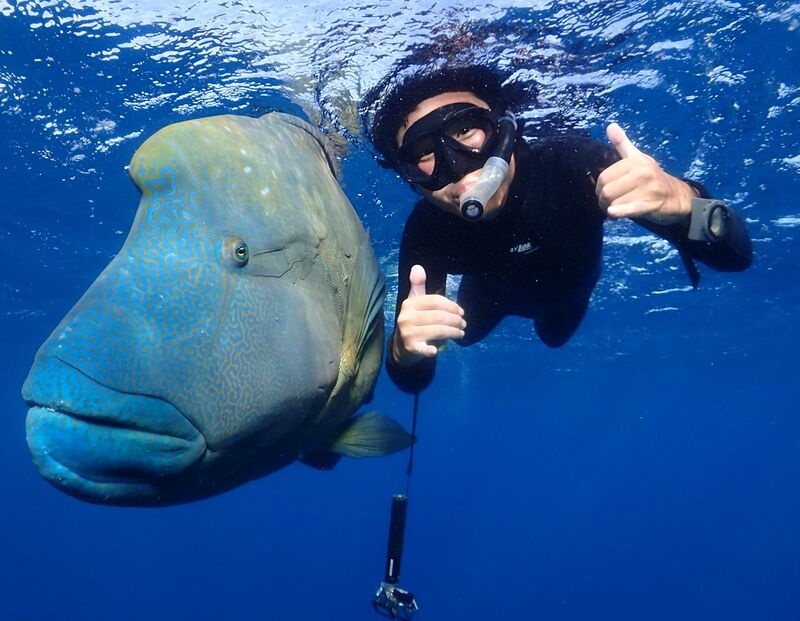 We can't think of any Coral Sea trips where you can get up to 9 - 10 more amazing and adventurous dives. 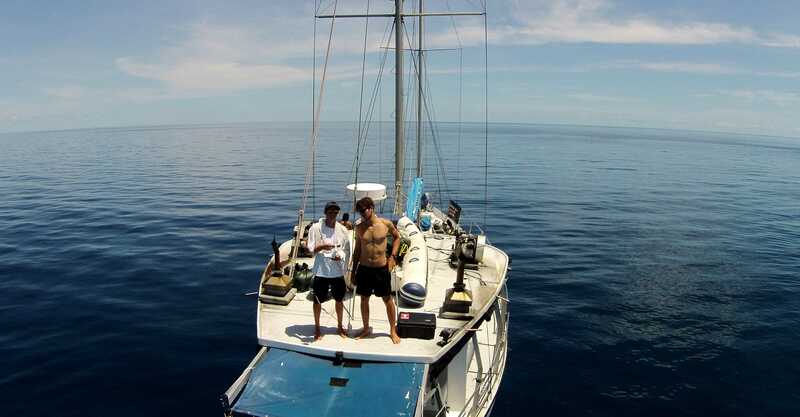 We emphasize the term "adventurous" as any open ocean trip can get bumpy, and once outside the Great Barrier Reef there is no protection from Pacific Ocean swells on the trip out to Holmes Reef (or back, but it's always better, we highly suggest seasickness medications). While the diving is always amazing all year, the most certainty of a comfortable trip would be between October and April, the less windy months even though that's Cyclone season. The visibility is the best during the winter months. The diving on this trip is suitable for beginner OW divers with our crew, to the experienced diver wanting to do their own diving schedule. With this trip you get the amazing visibility that the Coral Sea Reefs are famous for, with visibility reaching 50 meters plus and is rarely less than 30 meters. Very little of these reefs have ever been dived, surrounded by depths of 1000 meters, rising vertically to the surface, offering magnificent wall and shark diving opportunities. On this trip you can make up to 8 to 9 Holmes Reef dives including 1 night dive plus 1 dive back on the GBR. You also get to dive with large pelagic, (yes sharks are seen on nearly every dive here! ), as well as huge gorgonian fans, resilient hard and soft corals and several species of tropical fish endemic only to the Coral Sea, making Holmes Reef a truly unique dive location. As of this time, Rum Runner is the only vessel that visits Holmes Reefs regularly, so you are diving amazingly pristine dive sites. Being such large reefs, sand cays and large sheltered areas have formed over the centuries, with good anchorages and dive sites manageable for novice divers. The beauty of these Coral Sea Reefs is their diversity in dive sites and marine life, offering extremely good dive conditions and excellent visibility, leaving room for us to explore new realms of diving and keeping it adventurous, yet safe. The open ocean isolation also draws in large pelagic fish such as dogtooth tuna, mackerel and barracuda. 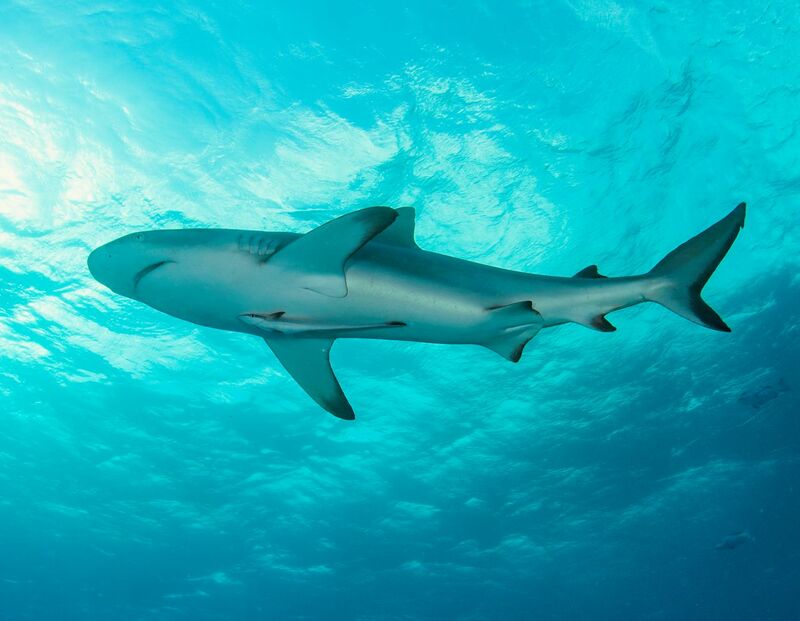 These reefs are great places to spot sharks of all kinds, especially white tipped and grey reef sharks. With Rum Runner expect Silver tip sharks and more! Scuba diving the Coral Sea reefs can be a pretty expensive proposition, with trips being focused on 5-star comfort and service, and priced out of the range of many novice and beginner diver budgets. Rum Runner now offers the same amazing diving via our online only direct booking at an amazingly affordable rate. 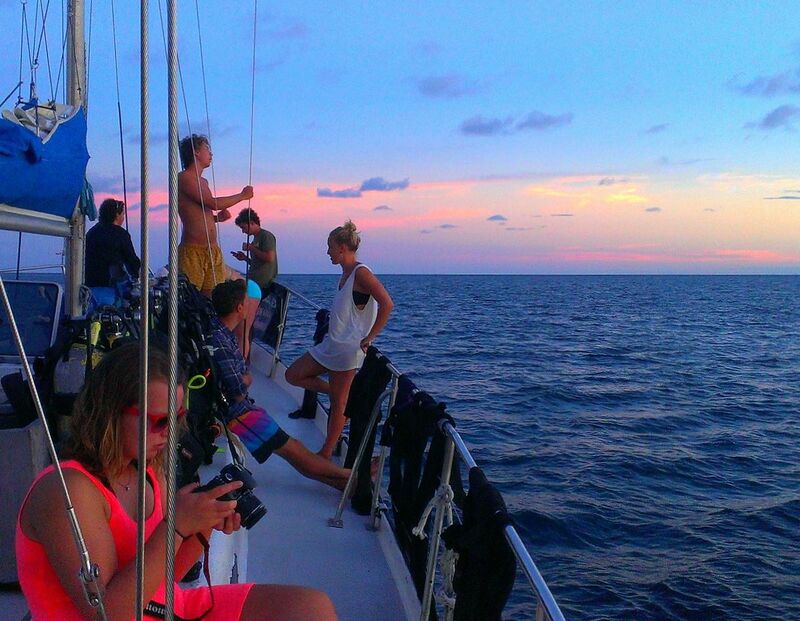 This trip rates are comparable to most 3 Day / 2 Night GBR Live-aboard trips from Cairns. if you don't have at least one dive at Holmes Reef of 30m plus or see any Sharks, Rum Runner still offer a 100% Money back guarantee! From $795.00, BYO (bringing your own) Scuba diving gear. Included: All 9 - 10 dives, Tanks, weights, air fills; All bedding linen, All meals, Light refreshments provided after dives Coffee, tea, hot chocolate, BYO alcohol and other drinks, Tap drinking water. All prices are in AUD Dollars. Extra inclusions: 3 introductory dives including the Shark Feed dive, all snorkeling gear and wetsuits. Rum Runner price is inclusive of all taxes and fuel levies - no more to pay. Minimum of 8 divers required before departure can be confirmed. * Friday departures might not always be available online either due to demand or other Charter Scheduling. If bookings are full you can still make waiting list bookings for any trip.